Is this the new Nissan supermini? | What Car? Is this the new Nissan supermini? Last week, Nissan announced that it will launch a new small car in 2010 based on styling from the Qashqai and 350Z. 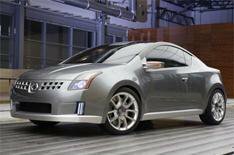 Now there are suggestions that the car will be based on Nissan's Azeal Coupe Concept, which was first shown in 2005. The concept car was powered by a turbocharged 2.5-litre petrol engine and included outlandish styling features, such as 19-inch alloy wheels - big for such a small car. However, the production version is expected to have more sombre styling and focus on small, efficient engines. At the time of the Azeal's launch, Nissan's vice-president of design, Bruce Campbell, said: 'An entry-level vehicle doesn't have to look entry-level.